Real-time data that drives real-life revenue. 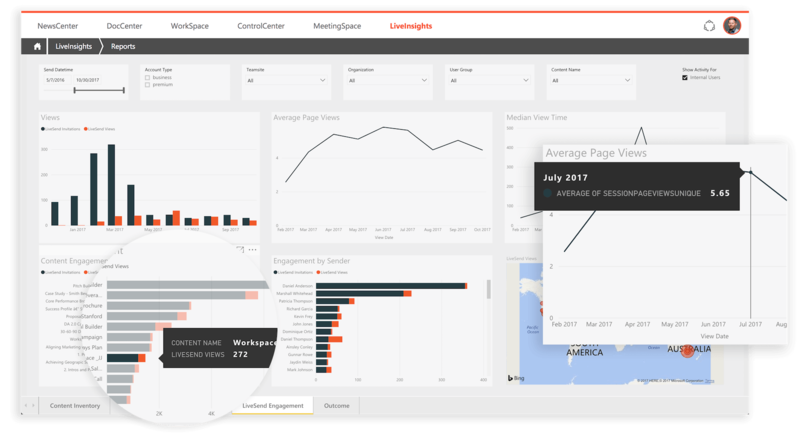 The data you need to measure success and improve your sales approach is now instantly at your fingertips. 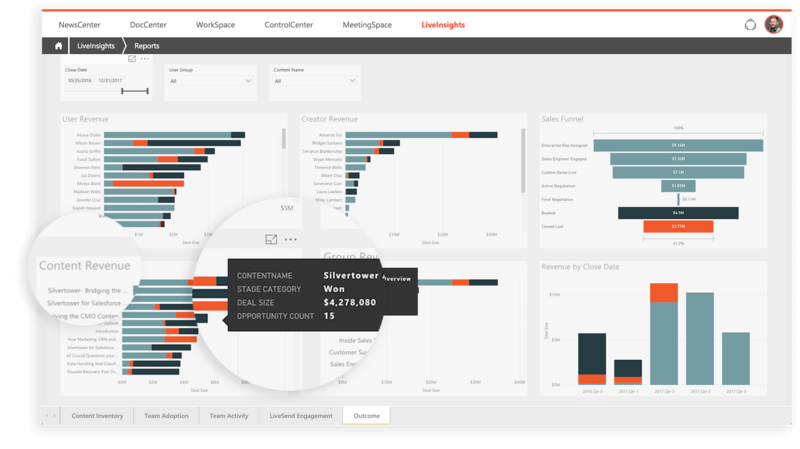 Seismic LiveInsights is the ultimate strategic asset that lets you optimize, refine, and measure the ROI of any piece of sales content. 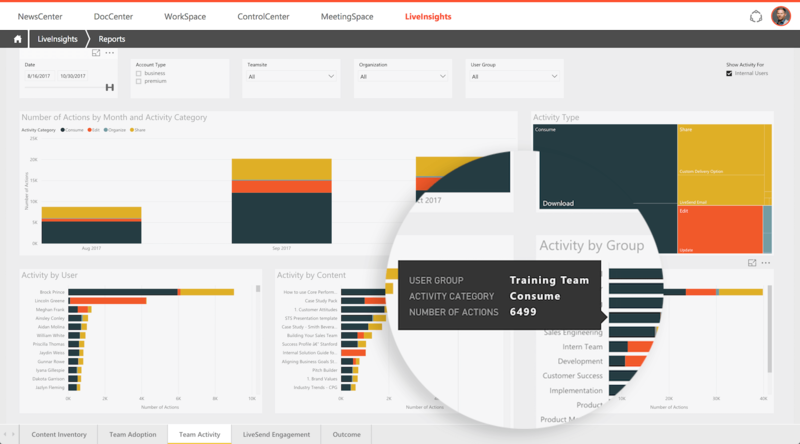 Intuitively build reports on the fly, create powerful visualizations in real time, and drill into details on sales activity, content performance, and prospective customer engagement. An artificial intelligence-backed rating engine ranks content based on performance, with the content proven to engage buyers surfaced to the top. Dive into platform adoption and activity data to identify the pieces Sales uses most, then determine whether that content aligns with pieces performing best with buyers. Improve content effectiveness by monitoring how buyers actually interact with the pieces you create. 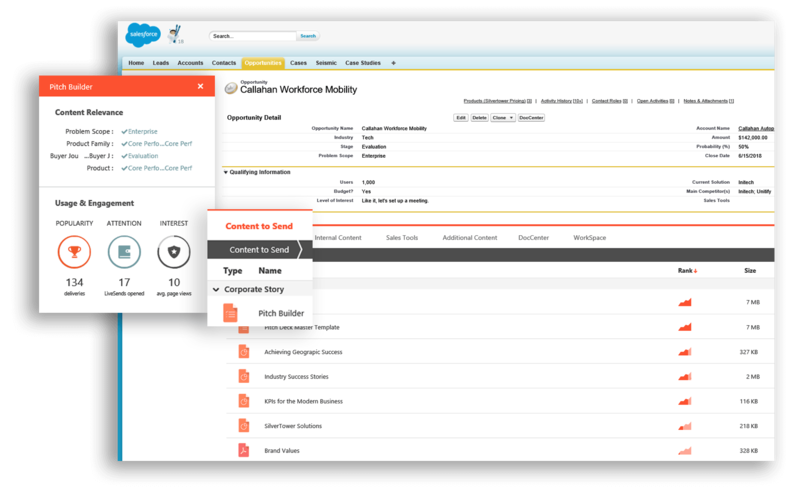 Identify trends by teams, documents, and views. Correlate marketing activity with revenue by reviewing content engagement across sales stages and deals won. Optimize the content that works, eliminate the content that doesn’t. Our platform is constantly evolving to position you for success. Understanding past outcomes and using statistical models to forecast the future allows Seismic to reveal actionable insights for your business. Seismic’s LiveInsights feature allowed the commercial printer to objectively evaluate the effectiveness of their sales materials and overhaul their content strategy. Their conversion rate has since skyrocketed by 275%. Intelligent organizations need intelligent systems. 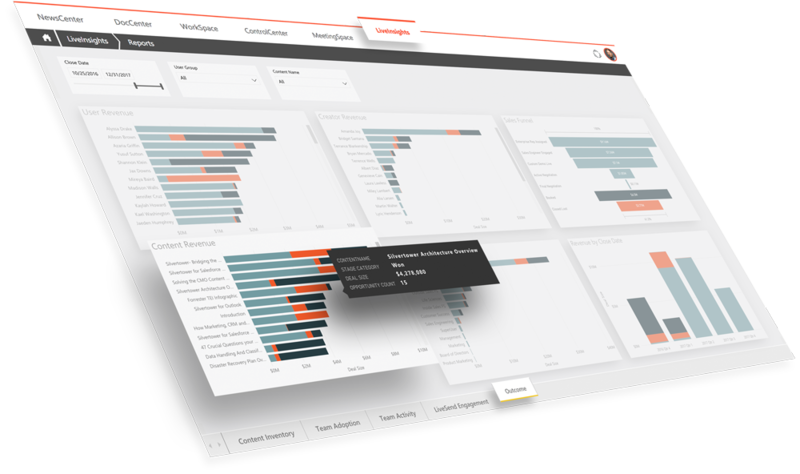 See how Seismic reveals the insights you need to improve business outcomes.